When planning our trip to Belgium, I tried to create a dinning itinerary that was both diverse and flexible. Before leaving the States we had tickets for our beer at Zwanze Day and I made reservations at LESS in Belgium, In De Wulf in Wulvestraat and j.e.f. in Ghent. Via research, these were my three MUST eat restaurants in Belgium. From prior experience, I knew that I had to purchase chocolates at Pierre Marcolini and eat a waffle at the train station in Antwerp. The rest of our dining experiences would be left to fate and recommendations that we receive along the way. Our first day in Brussels Charlie and I shared a delightful pot of moules (mussels) for dinner. After shopping at Pierre Marcolini for chocolates, we stopped at a café on the square. I ordered our mussels in a non-traditional garlic cream sauce. It was a perfect pot with chopped garlic and fresh cream poured over plump steamed mussels. 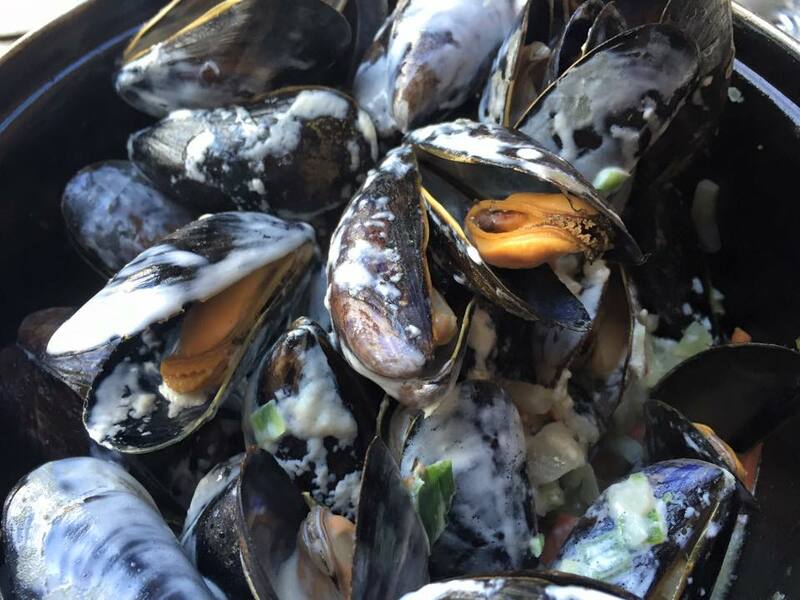 If you’re visiting Belgium in the summer don’t expect to see mussels on the menu, mussels are a seasonal dish and typically only served from September to February. After the Zawanze day party I had my first Frites, as God intended, at 1 AM on the walk back to our hotel. The Flemish love to put mayonnaise and different sauces on crispy frites. I have an affinity for curry ketchup. 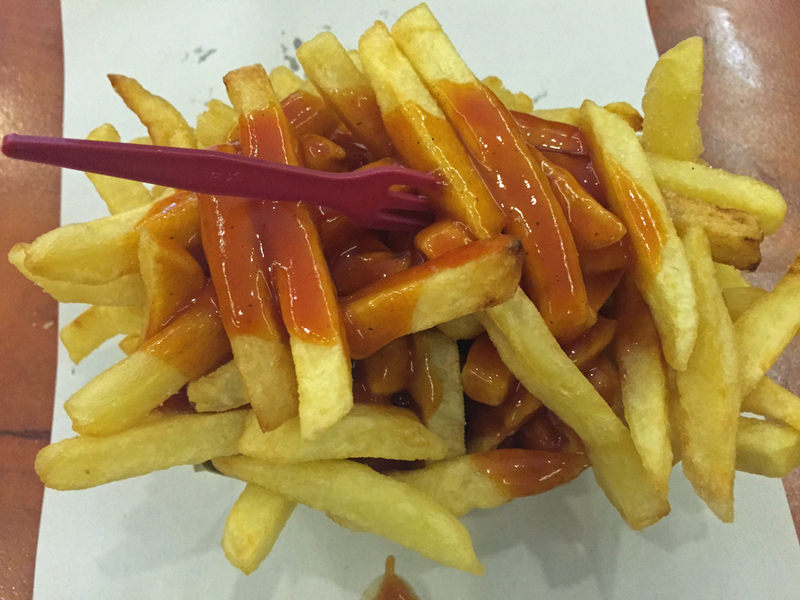 Frites stands can be found all over Belgium. My advice, ask a local for their favorite place. 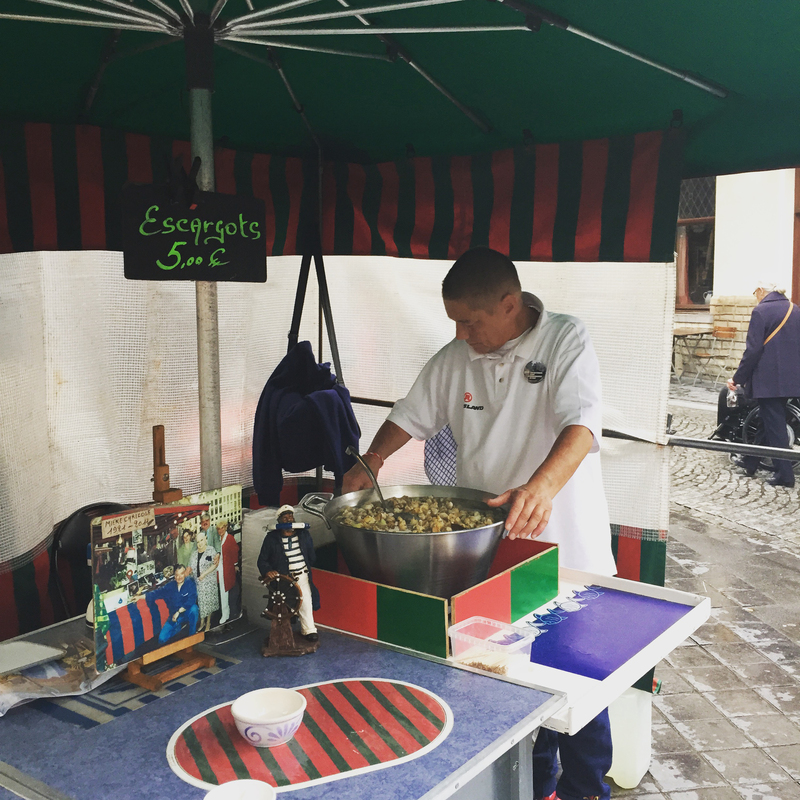 Our second day in Brussels was a leisurely day spent exploring the city where I also indulged in escargot from a street vendor. Yes, escargot. And yes, it was delicious. Not sure I’d eat sails from a large vat in America, but in Belgium…oh heck yeah! We ended our stay in Brussles with a fantastic dinner at the gastopub Nuetnigenough. It is a very small restaurant serving traditional dishes accompanied by a curated menu of first-rate Belgium beer. When I saw Waterzooi on the menu my dinner choice was immediately made. 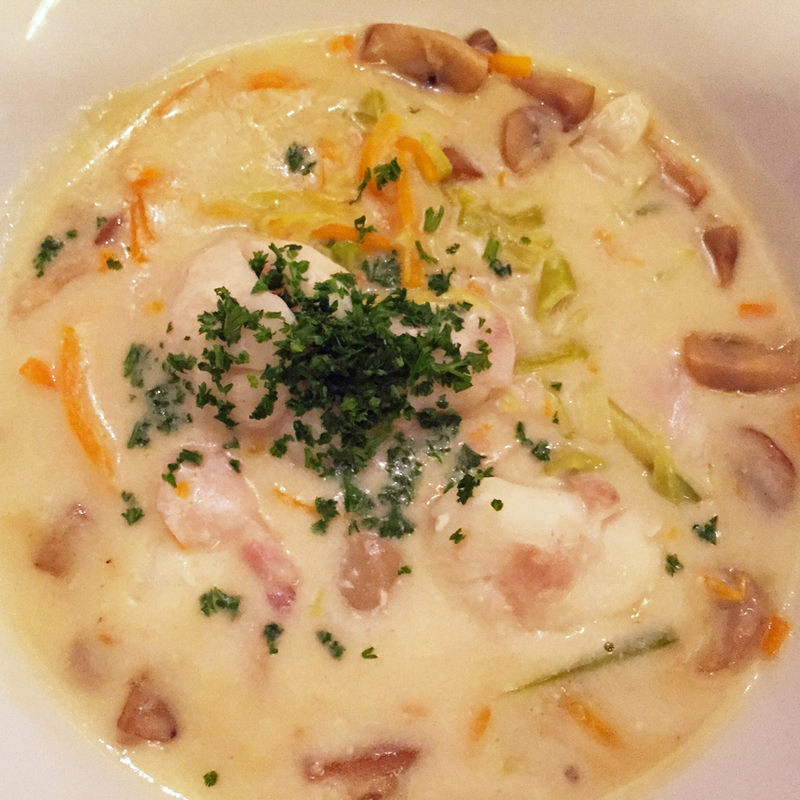 Waterzooi is a fish stew (though you will find it prepared with chicken too) made with egg yolks, cream and a thickened vegetable broth. In addition to fish it contains carrot, onion, celeriac, leek and potato that are flavored with thyme, bay leaves and sage. It’s a creamy, rich and delicious. In addition to enjoying delicious beer at Orval we enjoyed a lovely lunch at the Abbey cafe. We split a plate of cheese croquettes. 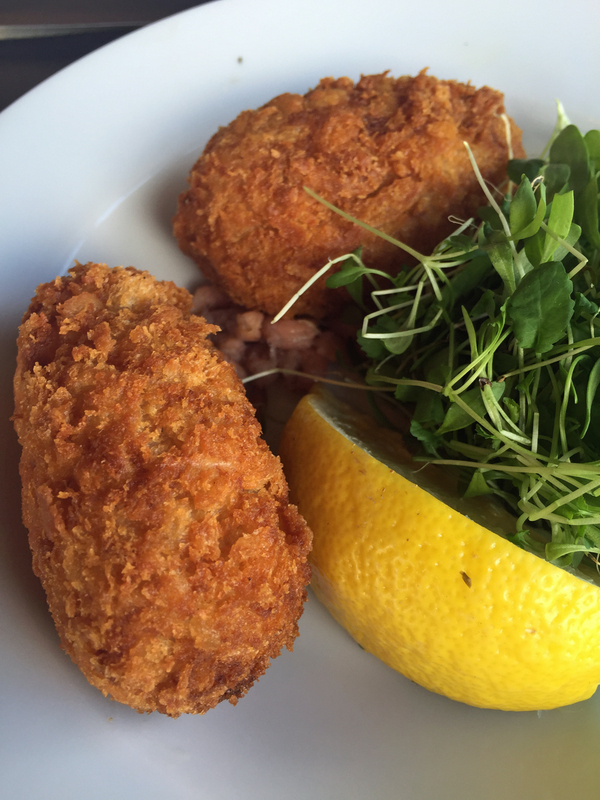 Belgian croquettes are not made with potatoes, rather they have a filling of either creamy cheese or a North Sea shrimp called brown shrimp. As an entree they are usually served with a salad and fried parsley. Before leaving the USA I made a reservation at LESS in Brugge. LESS stands for Love. Eat. Share. Smile. Serving tapas and large plates from the Iberian Peninsula in Spain, LESS sources products from small ecological producers in Catalunya, Castilla y León, Extremadura. Except for the tablescape upon sitting down, I willingly did not take any photos of our dinner. I was focused on enjoying our food which was wonderful. Regrettably, I did not take a photo of my favorite dish of the night, smoked iceberg lettuce salad. It consisted of half a head of iceberg lettuce grilled and then smoked over hot coals and served with a light creamy herb dressing. In researching restaurants in Belgium I used the key word “belgium restaurant innovative” and landed on In De Wulf. After reading several reviews and an article by the New York Times, I made a reservation for dinner and an overnight stay. Writing only a few sentences about In De Wulf would diminish the greatness of our dinning experience and stay. Kobe Desramaults Michelin-starred restaurant is a special place, it was a truly a memorable meal. Check back next Tuesday to read more. 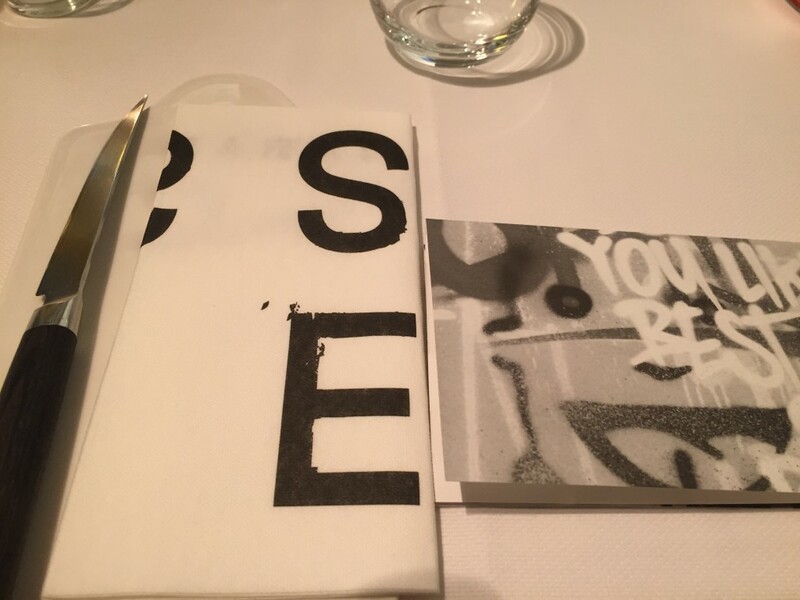 Until then, here is a sneak peak of what our dining experience as like…. We finished our dinner by retiring to the parlor. 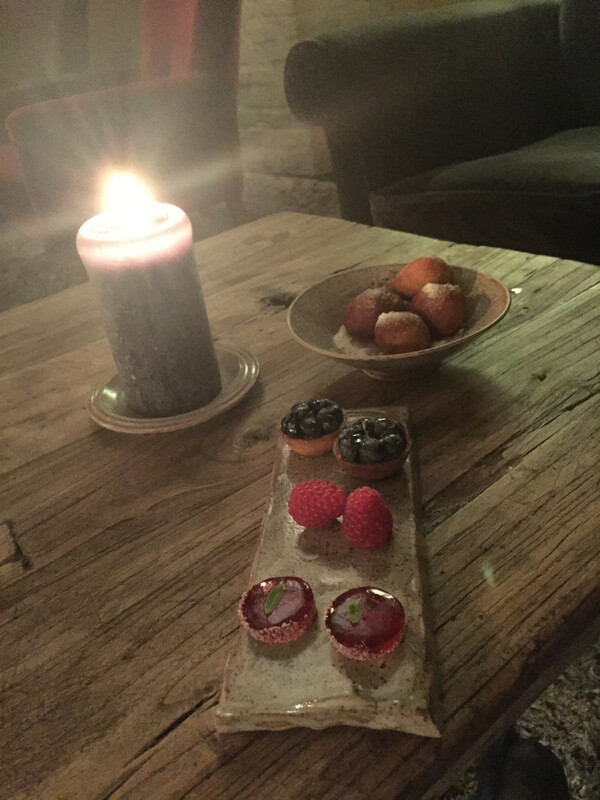 Charlie sipped port and I drank coffee while savoring freshly made donuts and mini fruit tarts garnished with the sweetest raspberries I have ever tasted. 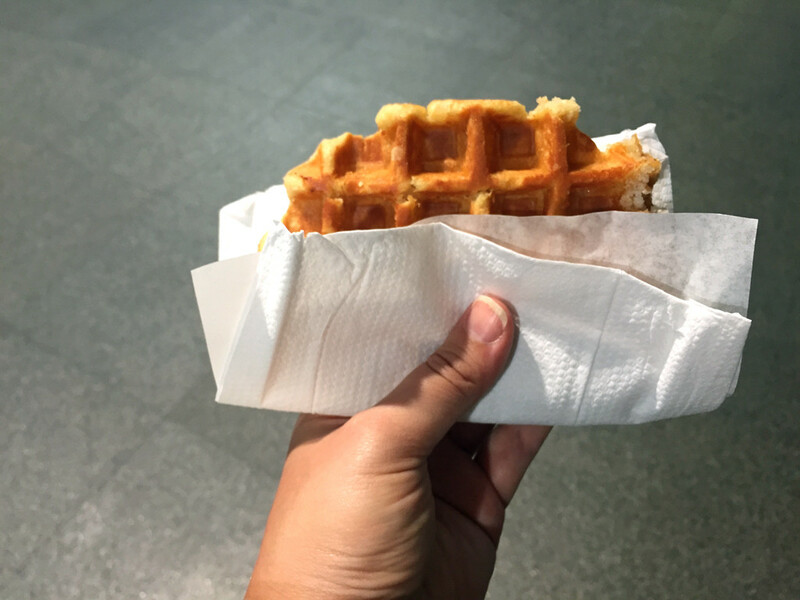 By far the best street waffle I have ever had in Belgium is from the guy at the train station in Antwerp. He makes a variant of the Leige waffle. The density is somewhere between a traditional (batter) Brussels waffle and a Legie (brioche) waffle and has the little pearls of sugar Liege waffles are know for. It was the perfect sweet pick-me-up snack after walking the cobblestone streets of Antwerp. By far my favorite food to eat in Europe is cheese. 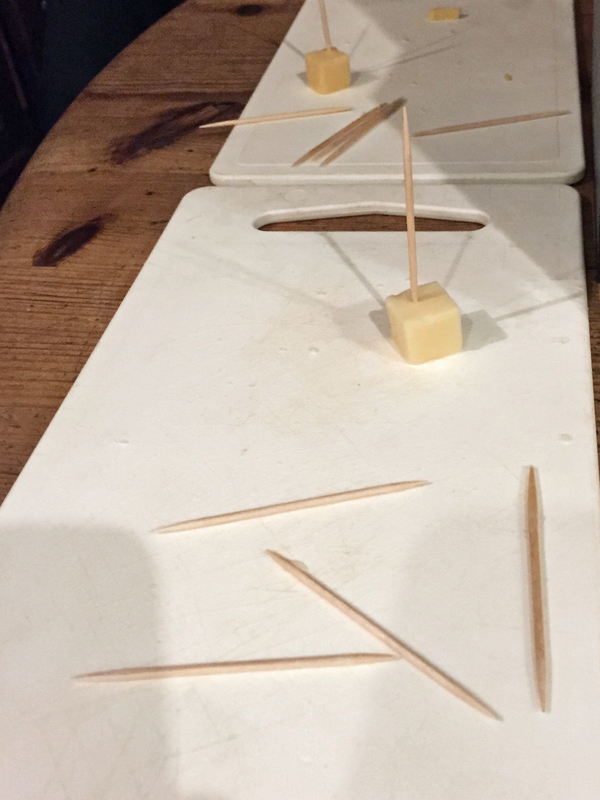 In Belgium, if you order a cheese plate in a pub you don’t get anything fancy. But you do get plate of deliciousness. I ate cheese every day when I was in Belgium and somedays I ate it as a meal. We pretty much missed our window of opportunity to eat dinner when we were in Antwerp, so we settled on beers and cheese plate at the Kulminator. We got two types of cheese, old (aged) and new (not aged). As you can see, we enjoyed every little cube. As I mentioned in my Ghent post, we started our day with a relaxing lunch at a cafe along the canals. I ordered the traditional Ghent stew which was surprisingly delicious. Ghent stew, also called Stoverij or Flemish Stew, is beef braised with dark beer and flavored with Ghent Mustard and Thyme. It is typically served with french fries. The gravy makes an excellent dipping sauce. 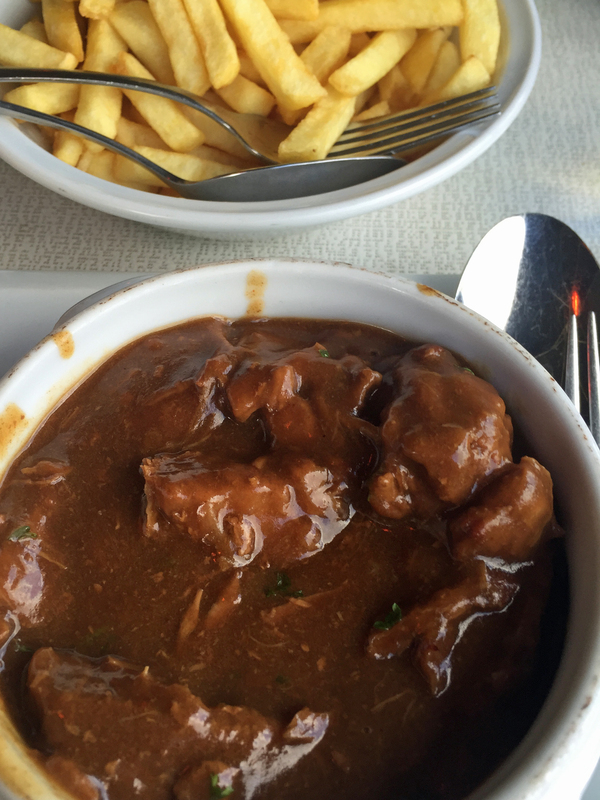 After enjoying Ghent stew for lunch, I knew I would want to make it back across the pond. And because I’m me, I know I’d want to make it with authentic ingredients. So, I made a trip to purchase freshly made mustard at Tierenteyn-Verlent. 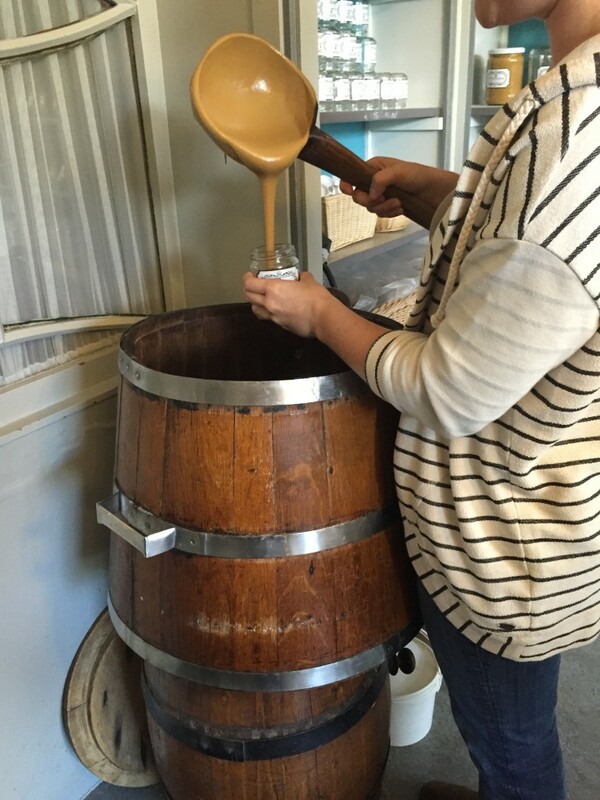 I picked a container that they filled with fresh mustard from a barrel next to the counter. What is so special about the mustard? The seeds are ground each week for fresh batches of mustard therefore the mustard is never more than three days old when purchased. It is a very flavorful mustard, but not so strong that your nose burn or your eyes water. When planning the last meal of our trip I had a tough decision to make, eat at another Kobe Desramaults restaurant, Vitrine, or try one of the other restaurants suggested to me? I went with the latter and chose j.e.f. as our final dinning destination. J.e.f. was the perfect last meal in Belgium. The food was bold with very clean flavors. Every bite was more delicious that the next. 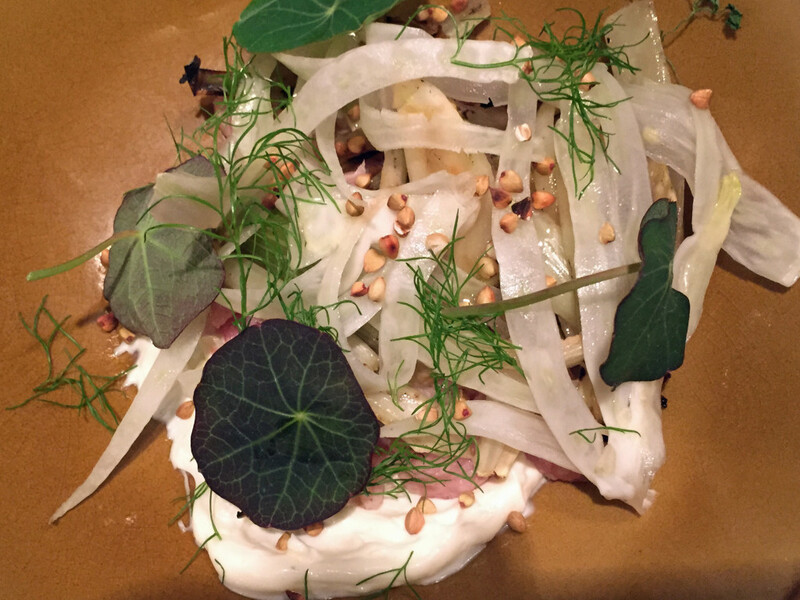 My favorite dish was the fennel salad with yogurt, pickled onions, nasturtium topped with pine nuts and dill. What seems like such an odd combination was delectable. An adventurous meal to close out and adventurous trip, a perfect finale.